Happy Earth Day, Everyone, and Happy Easter as well! These two celebrations are occasions to reflect on the way God is alive and present in my life and they have been deeply intertwined for me this year. I am nearing the end of my Apostolic Novitiate year with mixed emotions, and will (God willing) be making a first profession of vows in just eight short weeks. Appreciative of the gift and sacredness of the Novitiate, I am both a little sorry to see it end, and eager to move forward as a publicly vowed member of my community. Easter has providentially afforded me an opportunity to reflect on some parallels of the formation process and the paschal cycle of living, dying, and experiencing new life. Part of what attracted me to consider religious life was the intensity of it. Far from the appearance it sometimes has to outside spectators, it does not provide a safe removal and protection from the harsh realities of the world. Rather, I find that religious life is solidly rooted in the challenge of being acutely tuned in to anything and everything that is inconsistent with Jesus’s exhortation to love our self and to love one another. There is a consistent outward focus of attention on both the large and the small injustices that we experience or learn about, and a discernment of how God might be calling us to respond communally or personally. My formation experience has also taught me that religious life includes a persistent beckoning to be inwardly attentive to what is going on within myself. It is part of my daily practice to reflect on what keeps me from experiencing the love and peace God promises, and how I participate intentionally or not, in disrupting that flow of love to those with whom I live or encounter. Am I growing into the person I was created to be? Do I love my imperfect self as I am called to, and do I love all others in their varying states of imperfection as well? When I become aware of my shadows and shortcomings, I am called to participate in the paschal cycle. Instead of denying, becoming defensive or self-protective, I am called to die to that false self and allow my true self to come to life. Live, die, resurrect, and repeat! 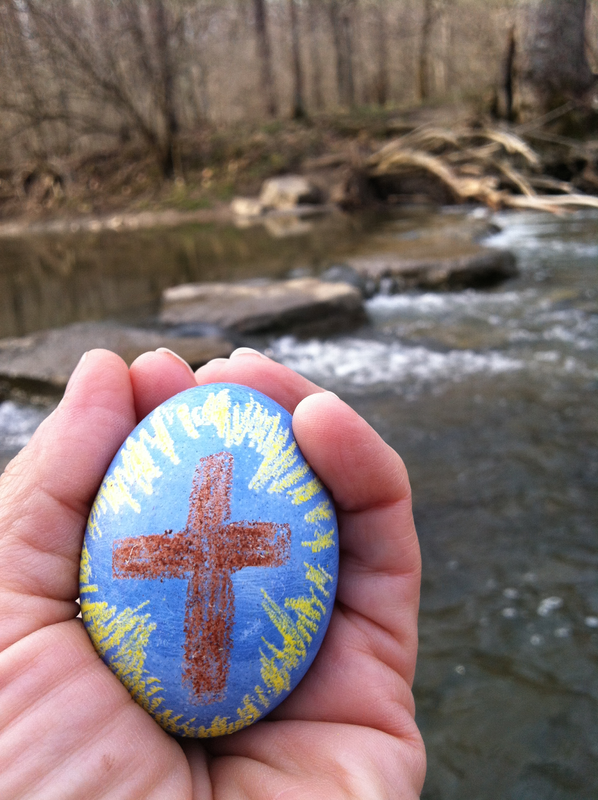 I have found no better way to experience the Easter message than to submerge myself in creation. My plans for the day unexpectedly fell through, and I spent a delicious Easter Day feasting on the joy of the Resurrection during an eight-mile solitary hike through my favorite reserve. God makes it gloriously obvious that new life comes from death as brilliant green leaves and blossoms literally burst forth from the stark bare branches of winter, and delicate wildflowers proliferate the very ground that was empty and frozen but a short time ago. And how fitting it is that Earth Day should fall during the Easter Season! Rightly so, the occasion is often focused on raising awareness and educating people about the human misuse and destruction of natural resources causing resulting the perilous climate change we are now facing. There is no argument that this is critical work to be done, but I would also like to honor the day by reflecting on our personal and spiritual connection with creation. Nature is sacred because God is manifested there as surely as in people, and sometimes with much more ease. As soon as my mother thought I was old enough to be out of her sight, I spent my days exploring deep in the woods surrounding our home. I found countless things there, but most profoundly, I found God. I sensed that it was God who lovingly held me as I swayed in the nimble branches at the top of a majestic tree. I was struck with awe and respectful appreciation as I studied the intricate design of each of the insects and butterflies, birds, tadpoles and frogs, snakes, turtles, fish and crawdads I discovered in the fields and creeks. I recognized the abundance I was blessed with as I savored the blackberries I found or vegetables picked from the garden. I was often consoled and felt my troubles melt away as the sunshine brought out the freckles on my nose and the breeze tickled a smile back to my lips. I fell in love with the mystery of it all, and wondered about my place in it as I stretched out on the rooftop staring up into the infinity of the starry heavens. I continue to be content and happy when I reflect upon being a creature among my fellow creatures. I marvel at the love and capacity of our Creator so extravagantly expressed in a design of diversity and cooperation, which provides everything we need to nourish body, mind and spirit. Like Maria Von Trapp going to her hills, I know my heart will be blessed and my soul will sing when I am in nature because I know I will find God there. So on this Earth Day, I will take some time today to examine my practices and look for additional ways to live more gently, not just because so much is being threatened, but because it is an expression of my love for God. Just as whatever we do for one another, we do for God, I believe whatever we do to the environment, we also do to God.